The Progress-Focused Approach: New possibilities for progress at a higher age? 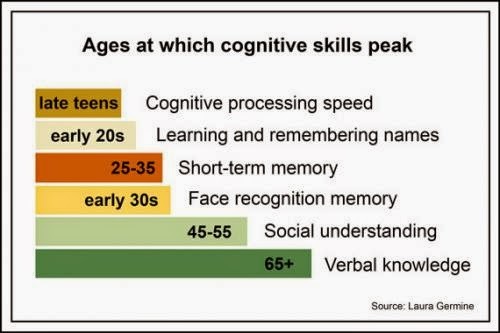 New possibilities for progress at a higher age? As we grow older we may develop an ever more realistic perspective. Perhaps this more realistic perspective creates new opportunities for progress. That more realistic perspective may be - I am saying 'may be' because I am speculating; I am not yet that old - that other people are complex just as we are, and that they may have doubts and worries just like us. We may realize that we are less unique than we thought and that we may think less dramatically about our own discomforts and suffering. If we do, and thus transcendent our own ego-centrism to some extend, we may make free more room for focusing on helping other people and for focusing on improving our living environments. Grit: what do long term passions look like? Why should it always have to be better?